Dreamforce is an event that we all look forward to every year. Every year, Salesforce lives up to the huge expectations! As always, we came back excited, energized and pumped about the opportunity ahead. Here are our highlights from the event. The strength of the Salesforce platform is that it empowers analysts and everyday users to build applications without requiring them to know how to code. We are excited about the possibilities of combined Einstein Analytics and Einstein Discovery. This allows the analysts to build Stories and Dashboards in one place! We love working with Salesforce and Google. We are excited about the usecases that we can solve at the intersection of these great platforms. One area, in particular, is Marketing intelligence. As highlighted in this Salesforce Blog, customers can take advantage of Salesforce Marketing Cloud, Salesforce Sales Cloud, and Google Cloud to build unified marketing analytics and get a 360 view of the marketing performance. We’ve heard so many times from our customers that they can quickly configure and build dashboards but often the long pole in the tent is data integration. Mulesoft acquisition is a great move by Salesforce to provide enterprise-grade Integration Cloud that not only solves the data integration but also getting the insights integrated into the user’s workflow. 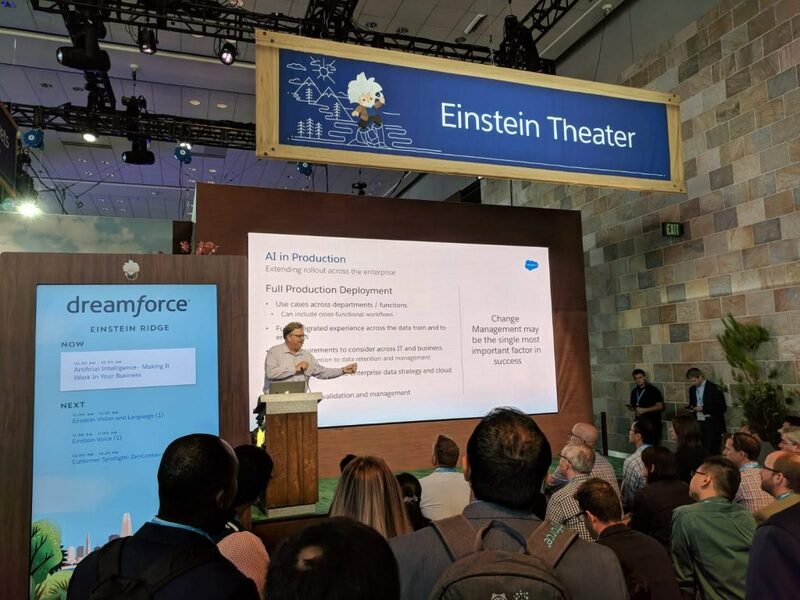 Its great to see Salesforce investing heavily on the Einstein/AI functionality. Every single product line now has Einstein features to make it smarter using AI. There are a lot of new features that we can’t wait to try it out – Einstein Voice, Einstein Next Best Action, Einstein Prediction Builder to name a few. In addition to the product features, Salesforce is also working to address some of the important adoption challenges – AI Ethics, Resolving AI Bias and making it transparent and accessible to everyday users. We love working with our customers, they define who we are. 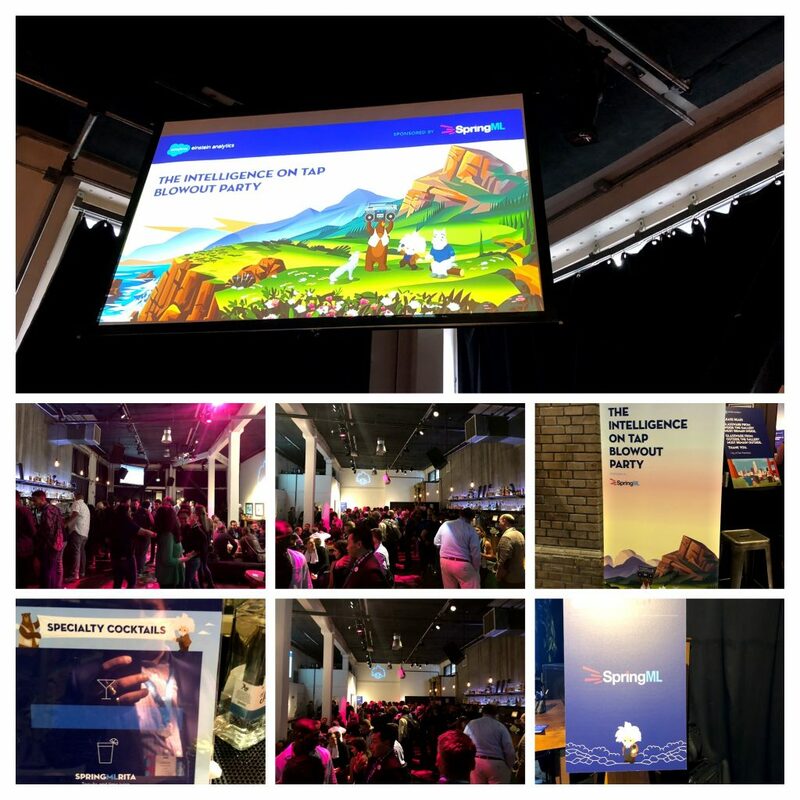 Our joint party with Salesforce Einstein Analytics team was a huge success! We sincerely thank our Customers and Salesforce team for an amazing event. We look forward to seeing you all in Dreamforce ’19!